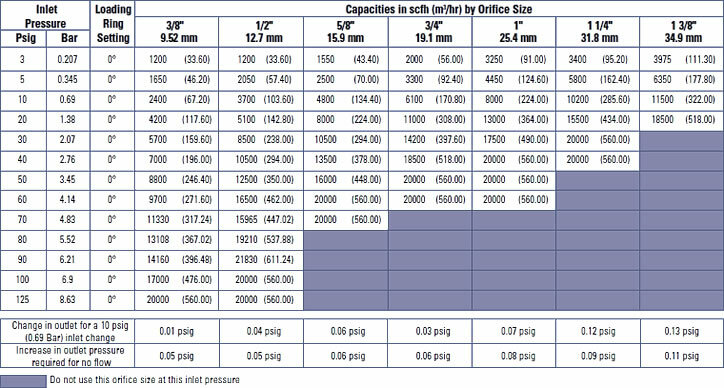 Appropriate for large capacity commercial and industrial uses where inches of water column or pounds delivery is desired such as utility services, gas engines, burner trains, furnaces, and boilers. 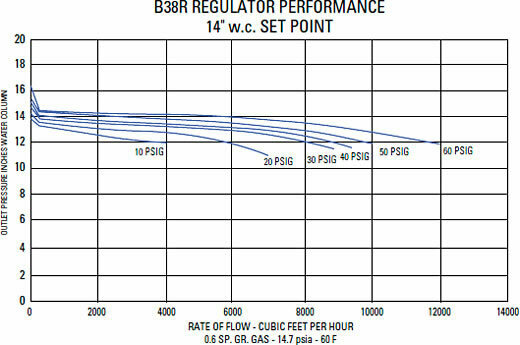 The rapid response of the B38 is particularly well suited for applications where sudden on/off loads could cause shock problems. a spring-loaded, self-operated regulator with no internal relief (N) valve. 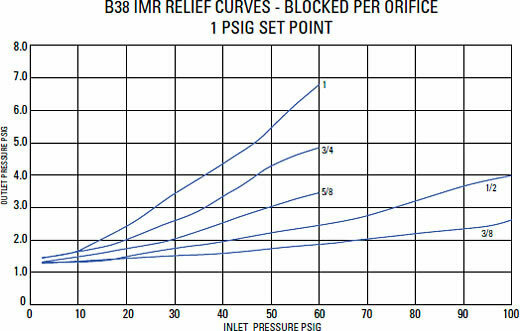 This model can be used on low or intermediate inlet pressures where an internal relief, or other type of over-pressure protection device is not required. 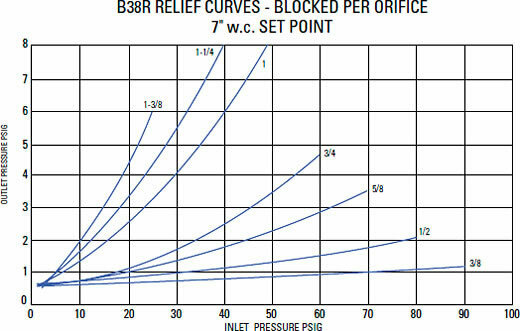 The internal relief (R) version of the B38 Series. 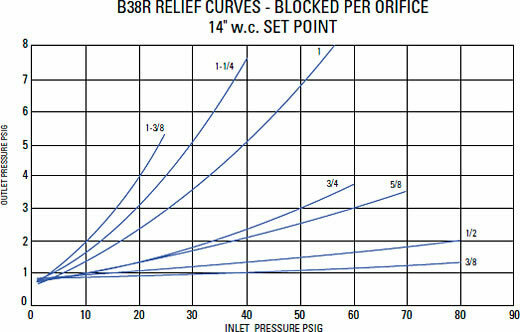 The large 2-1/2" internal relief valve provides exceptional relief capacity. 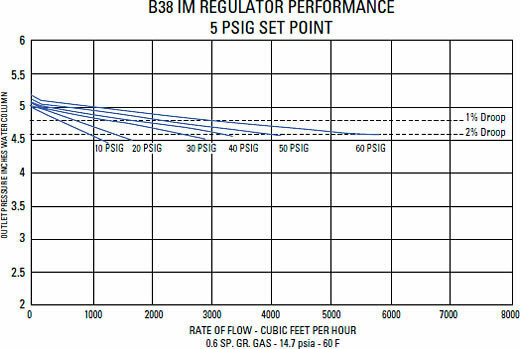 Used in a series monitoring installation as the upstream regulator. 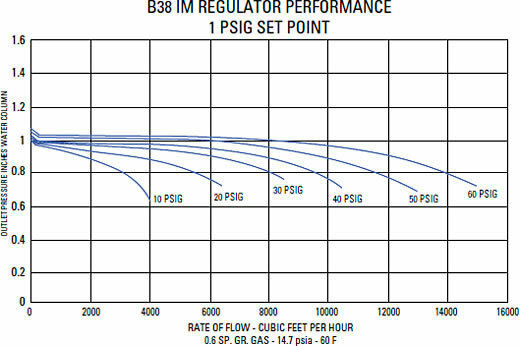 The B38M has an O-ring seal on the valve stem through the throat and a 1/2" control line tap on the lower diaphragm case. 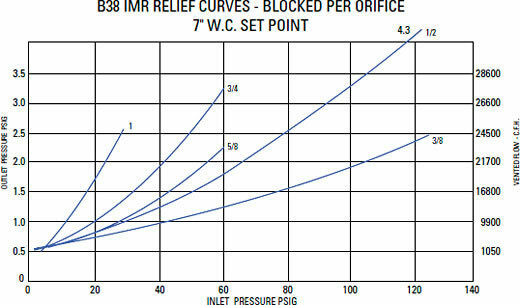 Equipped with an Internal Monitoring (IM) device and no internal relief valve (N). 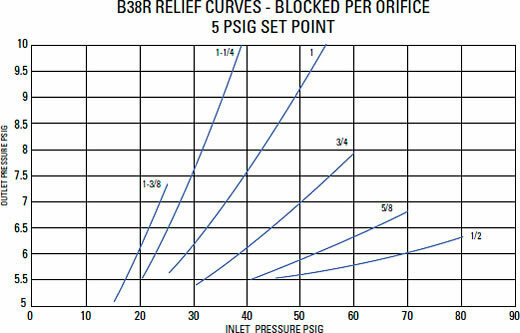 This version is appropriate for applications where overpressure protection is desired without the relief of gas to the atmosphere. 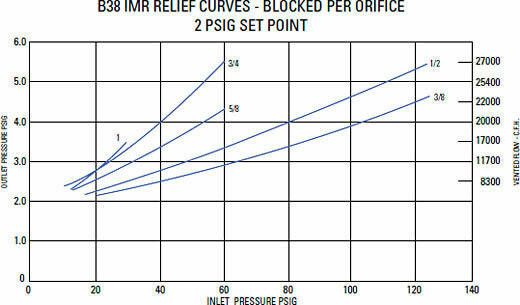 Equipped with an Internal Monitoring (IM) device as well as a back-up Internal Relief Valve (R). 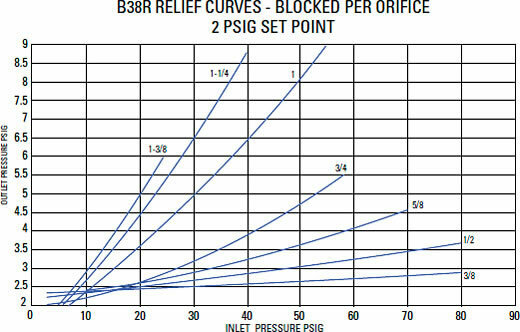 This version is appropriate for applications where an added level of overpressure protection is desired. 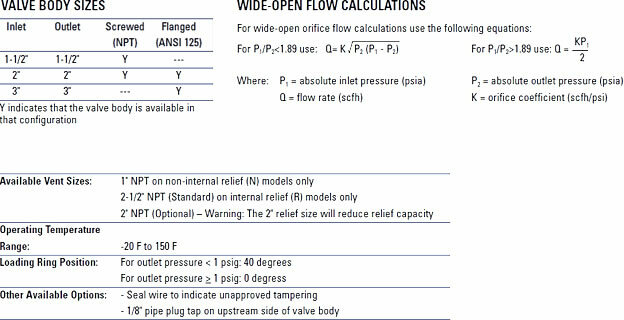 Equipped with an Internal Monitoring (IM) device as well as a back-up Internal Relief Valve (R) and a Vent (V) hole in the sliding orifice. 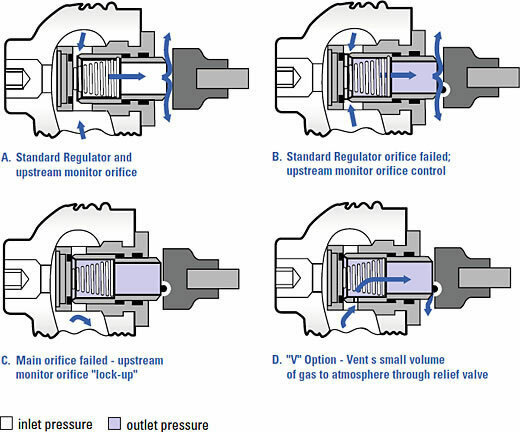 The Vent hole option allows the relief valve to "weep" gas to the atmosphere and signal a problem with the regulator in the event the Internal Monitor comes into operation. 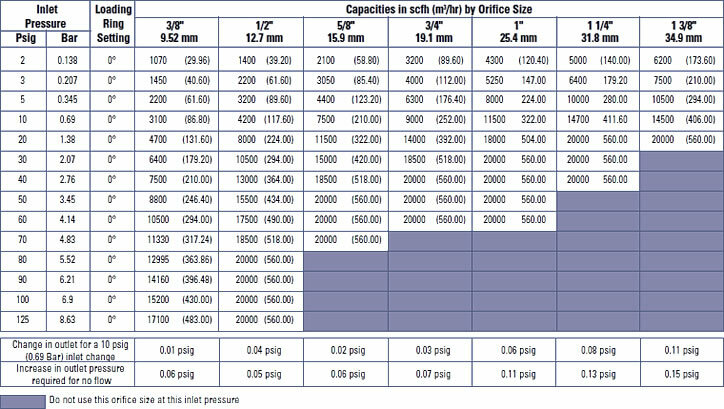 2" NPT – 25 lbs. 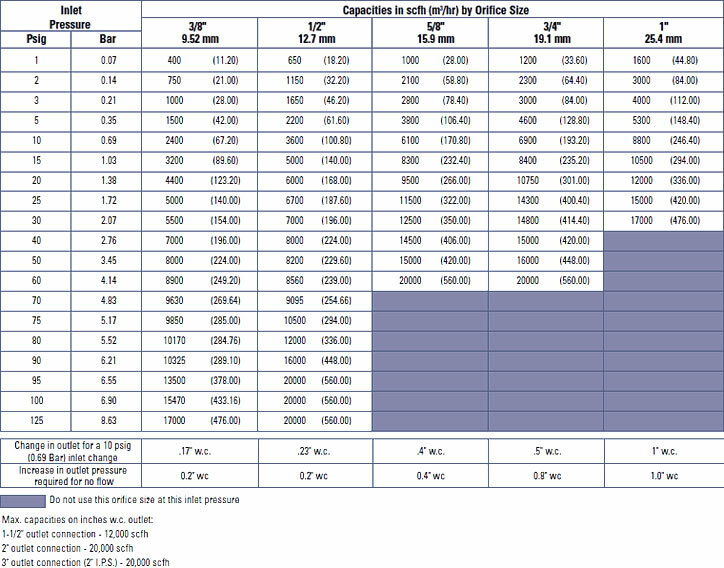 2" Flanged – 35 lbs. A. 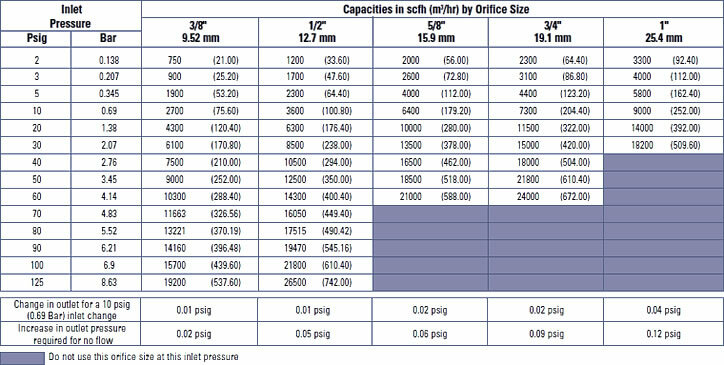 The internal monitor (IM) orifice performs like a standard regulator and monitor orifice in that the monitor orifice is wide open under normal operation and the regulating orifice and valve seat actuate to control outlet flow and pressure. 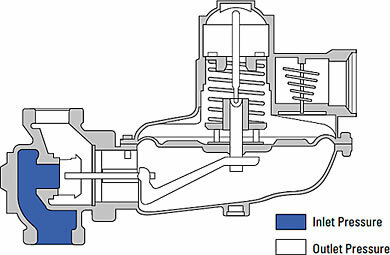 The regulator is free to lock-up in the usual manner, with pressure increase to position the valve seat "bubble" tight against the regulating orifice face. However, both the monitor seat and the regulator seat may close together, if the positive shock lockup exceeds the monitor spring setting. B. 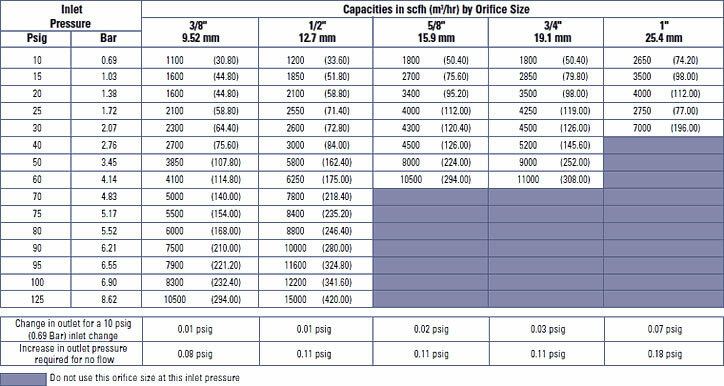 If the main valve seat fails to control the gas flow and pressure due to foreign matter between the seat and orifice face, or if the seat is eroded, the internal monitor orifice automatically goes into operating position at a slightly higher outlet pressure. 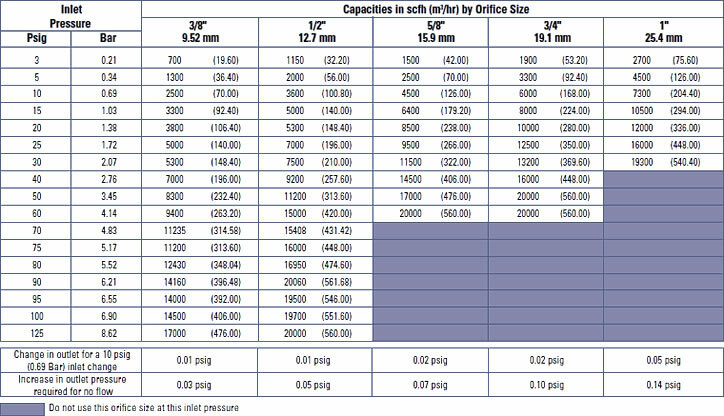 Any time the pressure on the large main diaphragm exceeds the force of the fixed monitor spring and the adjusted pressure of the main spring, this increase in outlet pressure causes the main valve seat to push against the sliding orifice, compressing the monitor spring and positions the monitor orifice to control the gas flow. 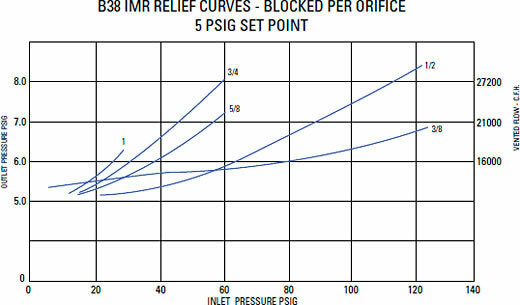 The IM orifice now functions as a monitor regulator and will continue to monitor so long as the main seats fails to control at the normal adjusted outlet pressure. 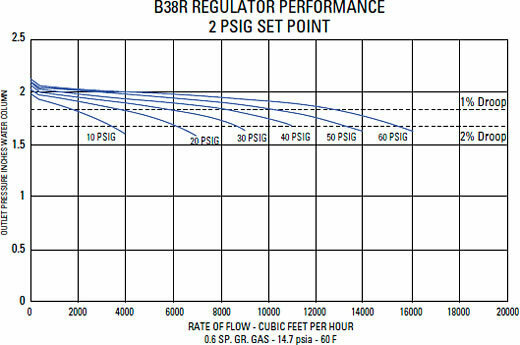 However, if the gas load demand is increased beyond the Internal Monitor's capacity, the outlet pressure is reduced to normal adjusted pressure and the regulator resumes normal regulation. 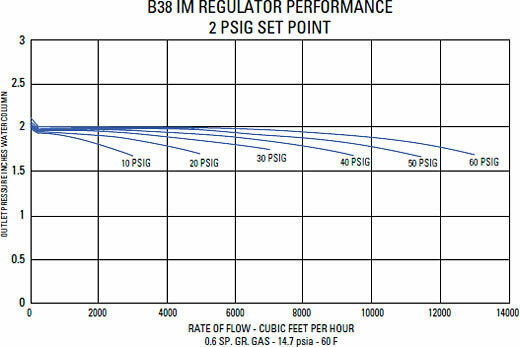 C. However, if the demand for gas is decreased to zero flow during monitor operation, the sliding orifice continues to close until its orifice is in the gas tight position (monitor lock-up) against the BUNA-N monitor valve seat. 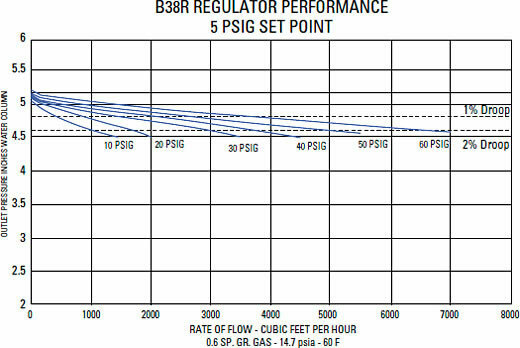 D. On installations where a small volume of over-pressure gas can be safely vented to atmosphere, the advantage of both relief valve and monitor safety can be combined. 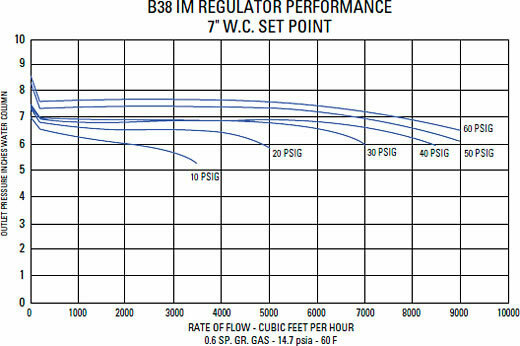 The monitor to hold overpressure buildup to a low-pressure increase, and relief gas vented to atmosphere to indicate that the main valve has failed and the regulator is on monitor operation. 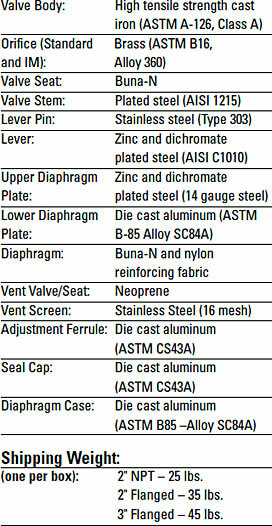 The purpose of the loading ring (Figure 1) and deflector ring is to draw gas from the underside of the diaphragm. 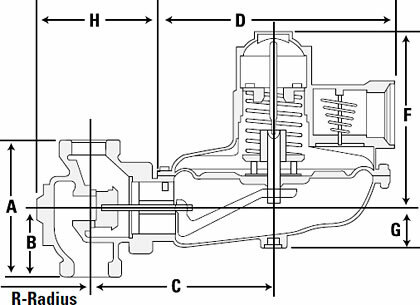 The objective is to lower pressure under the diaphragm as the spring loses compression. 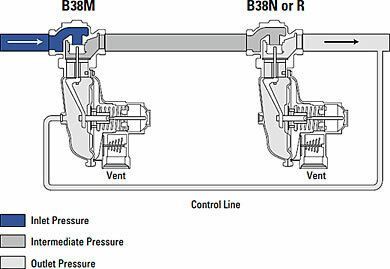 The loss in spring compression occurs as the diaphragm drops to open the valve. 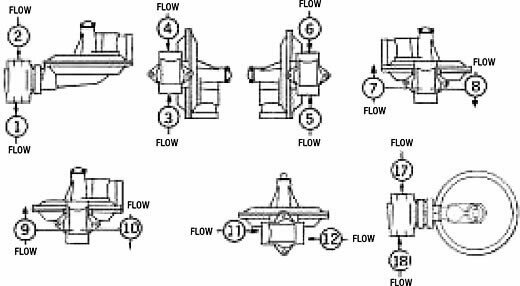 Lowering of the pressure under the diaphragm relative to the downstream pressure strokes the valve open, thus delivering more gas to the downstream and effectively raising (or boosting) the pressure. 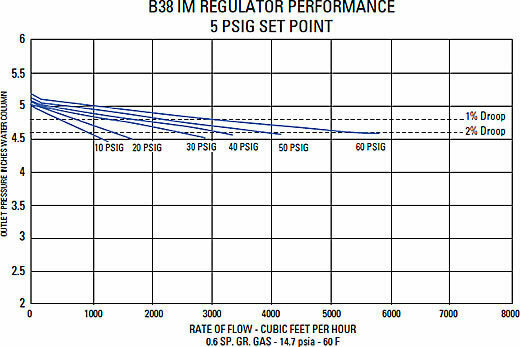 The B38 is equipped with a ported metal loading ring (Figure 1). 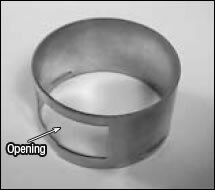 It is a heat-treated spring steel stamping with two beads (Figure 2) which fit into a groove on the orifice. 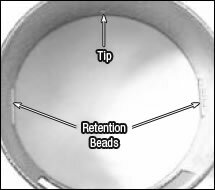 The orifice also has a radial notched shoulder into which a tip (Figure 2) on the ring rests. This locks the ring from turning after it has been positioned. 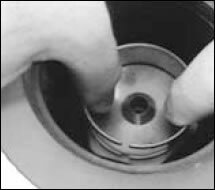 After removing the diaphragm case from the valve body, remove the loading ring from the orifice by spreading the loading ring slightly with both thumbs (Figure 3). 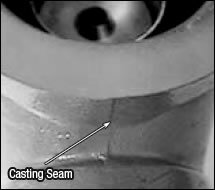 Insert the loading ring on the orifice with the center of the loading ring opening (Figure 1) aligned with the casting seam (Figure 4) on the downstream side. The loading ring is now in the 0° position. 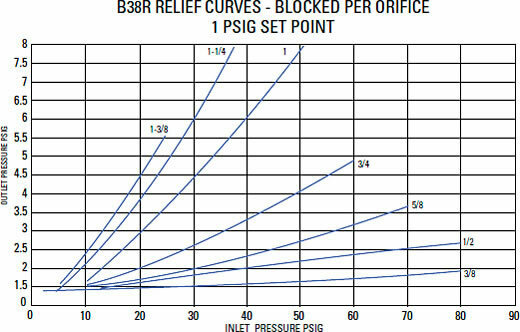 The angle between each notch on the B38 orifice is 1.9°. 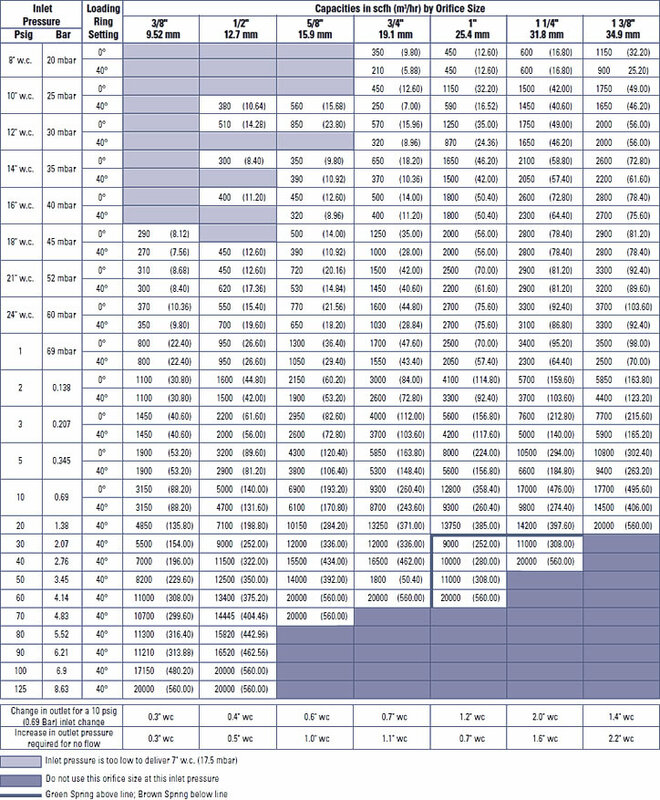 Divide the desired angle (see capacity tables for recommended loading ring position) by 1.9 and round this number up to the nearest whole number (Example: 10.4 = 11 notches). 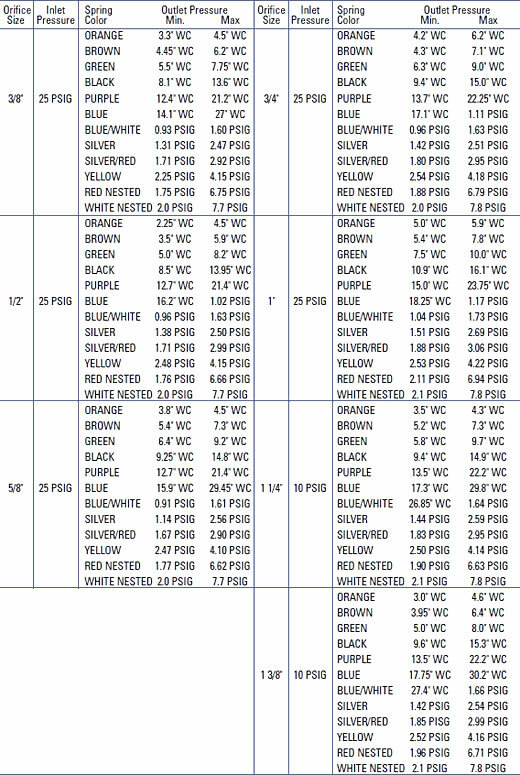 This is the required number of notches the loading ring must be turned. The loading ring may be adjusted either clockwise or counter-clockwise. 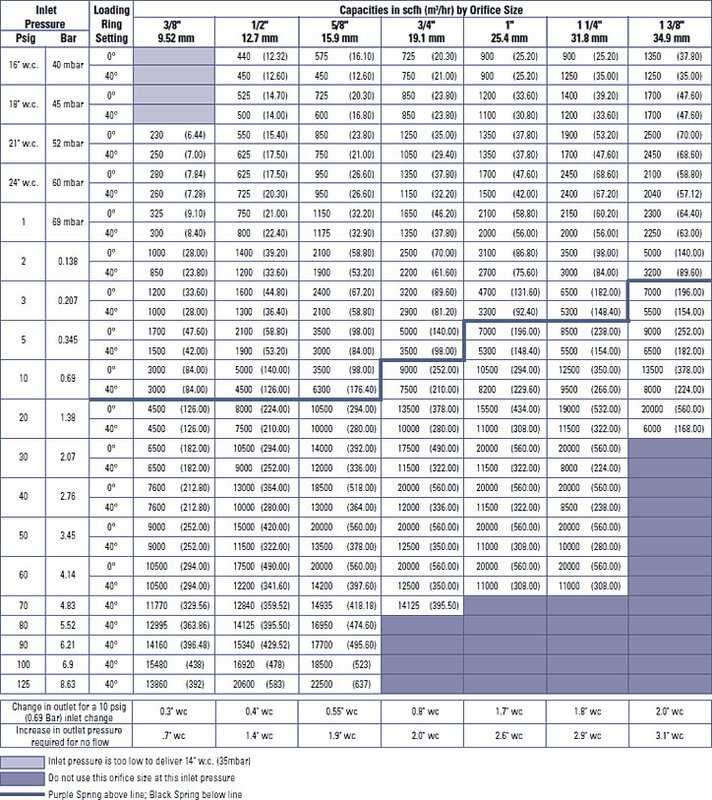 Using two thumbs as shown in Figure 3, rotate the loading ring the required number of notches. 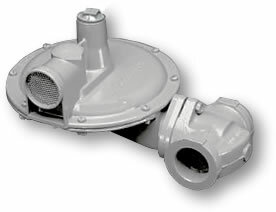 Replace the diaphragm case, slowly open the upstream valve, and check for any leaks. The regulator is now ready for operation.